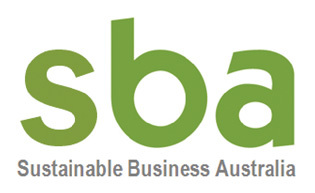 13 May 2015 - Sustainable Business Australia (SBA), the business advocacy think tank and global network partner of the World Business Council Sustainable Development (WBCSD), announced today that Desso has joined SBA to drive Australian business focus on the circular economy agenda. Businesses could save as much as a trillion dollars a year through cost savings on materials as a result of going circular, according to the Ellen MacArthur Foundation and the management consultants, McKinsey & Co, "We believe there is a real opportunity for Australian businesses to explore the commercial and environmental benefits of the circular economy, said Andrew Petersen, CEO Sustainable Business Australia. In collaboration with SBA, Desso will also provide a valuable contribution to the WBCSD's Vision2050 Materials Pathway Initiative, a global program that aims to realise 'not a particle of waste'. “We are delighted to welcome Desso as a member of SBA and champion this ambitious Australian work. Desso globally has set an impressive target for their products to be designed according to Cradle to Cradle® principles by 2020. They are well on the way to achieving their goal, and will contribute valuable learning and insights to the Australian business community”. Desso is part of the Tarkett Group of companies, worldwide leaders in innovative and sustainable flooring and sports surface solutions. Since 2008, Desso has been transforming its business along circular economy lines, based on its Cradle to Cradle® principles around five key areas: Material health, material reutilisation, renewable energy, water stewardship and social fairness. In 2015, Desso also announced a collaboration with Dutch drinking water producers, to upcycle calcium carbonate (chalk) from the water softening process and reusing this as a stabiliser in the production of its DESSO EcoBase® backing. Since early 2014, Desso has been a member of the steering board of Project MainStream, a new World Economic Forum initiative in partnership with the Ellen MacArthur Foundation. It is a cross-industry collaborative project searching for practical routes to upscale the shift to the circular economy.